Georgetown Lake and the surrounding area are a Rock Hound’s dream. Many budding geologists come here from around the country to study the vast array of rocks and minerals. Check tailings around old abandoned mines or along creek and riverbeds. 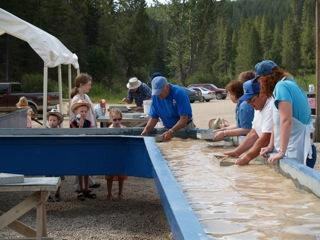 For a great family activity head over the Gem Mountain buy some sapphire gravel dug from the mine and sift for sapphires. 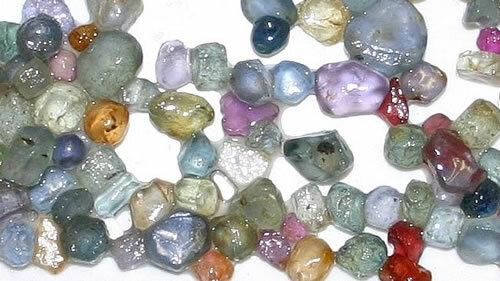 If you’re lucky you can find a gem worth thousands of dollars. To get to Gem Mountain take Hwy 1 North toward Philipsburg. Make a left onto Skalkaho Rd. Go 16 miles and look for the sign on right.